I qualified from Queens University Belfast in 2005, where I was awarded the John Malone medal for best performance in Conservative Dentistry in my final year exams. Since then, I have worked in the Belfast area providing general dental care for all patients, but with an interest in cosmetic and implant dentistry. 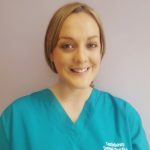 I aim to incorporate the most up-to-date techniques and technologies for my patients and have studied throughout the UK and Europe to further my knowledge of all areas of dentistry and ensure my patients are provided with the best possible care. 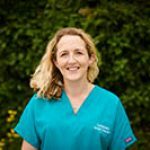 I joined the Castlebawn team in October 2016 and am delighted to be able to provide implant-based solutions for our patients.